As a limited run companion piece to our series-spanning Dead Series Discussions, we – Patches, Zach, Jeff and MegaMix – will be posting reactions to each episode of Live Another Day as it airs. These “ReJacktions” are not as long or formal (ha!) as our other posts on the series, but instead give us a chance to add some reflections and observations for each episode. Once the season has ended, we’ll give Live Another Day a proper Dead Season Discussion before bidding farewell to 24. At least until Jack comes back again. I think I will always remember this episode for the most incorrect statement ever made on 24, courtesy of White House Chief of Staff Richard Weed. I don’t know how to break this to you, dude, but there is only one Jack Bauer. That’s the Jack Bauer who puts his country before everything else. The Jack Bauer that stops at nothing to achieve what he believes to be the greater good. The Jack Bauer that lays waste to anyone who comes between him and that goal. That’s the only Jack Bauer that’s existed since Teri’s death. I tell you what, guys. It took me about five minutes into the premiere to get me jacked (*wink*) for Live Another Day. And true to form, the two-hour premiere had “dammits,” torture, sweet accents, and recycled plot points. 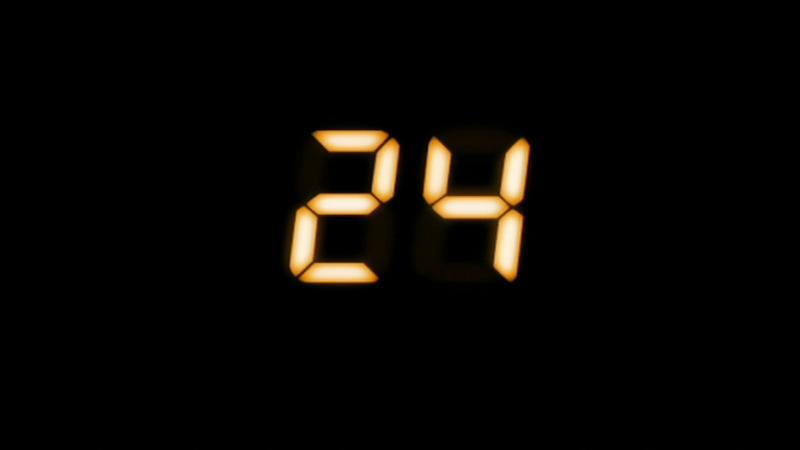 Overall, I’m pumped, mostly because 24 is back, but also because I like this season’s characters so far. Jack is still Jack. Chloe is still Chloe, except that she’s got some Goth Edward Snowden/Julian Assange thing going. I hope her whole family died because I can’t think of another reason for her to abandon them to use her hacking skillz for evil. James Heller is now President of the United States because no one can become president on 24 without being tangentially related to some other president. Also, he has Alzheimer’s or something. 25th Amendment, anyone? Audrey Raines returns as the Prsadkn.hhhhhhhhhhhhhhhhh. Sorry, I must have dozed off there. This month’s discussion is focused on Season 8 of 24, which premiered in January of 2010. First of all, as (potentially) my last introduction to a 24 DSD, I’d like to say this has been an amazing experience. Also, I’d like to say that my fellow writers are all scholars and gentlemen…and douche bags. But seriously, folks, great guys. Secondly, ummm…Renee, is there any chance that you and I might go out sometime? (Answer) I’ll take it. Okay, now that all of that has been cleared up, on to Day 8. The first thing I want to bring up is that I always find it interesting to know at what point writers/producers know that a TV show is going to end. For 24, as far as I can tell (i.e it’s never been completely confirmed), they seemed to know early enough to basically give us the answer in the trailer for the season. The initial trailer states “All Jack Bauer has to do is survive one more day.” As we all know, that may have been true in 2009, but Jack will Live Another Day.